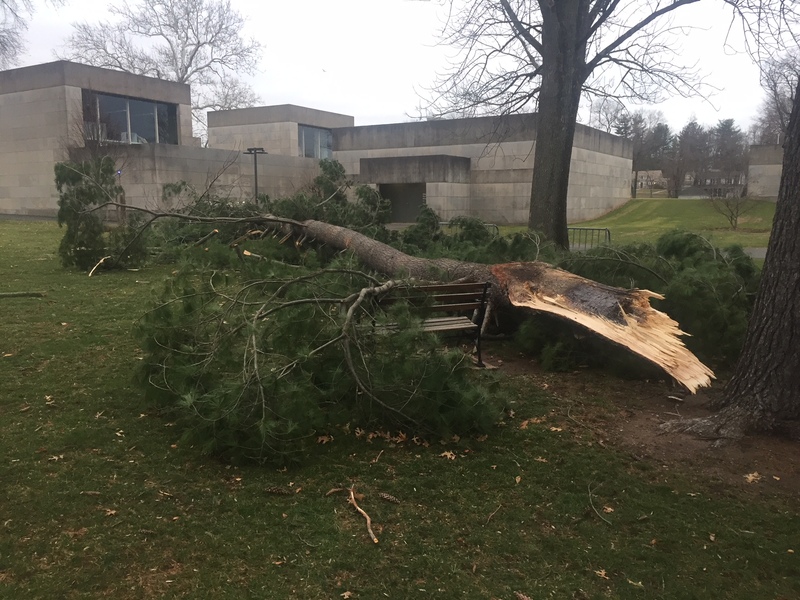 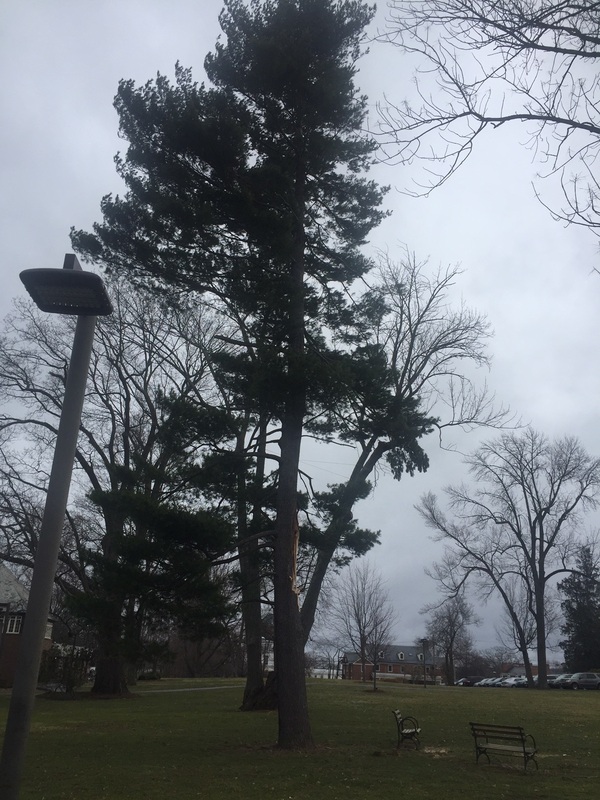 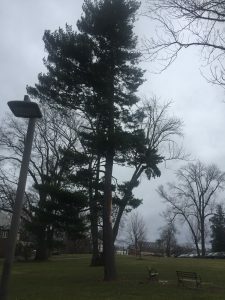 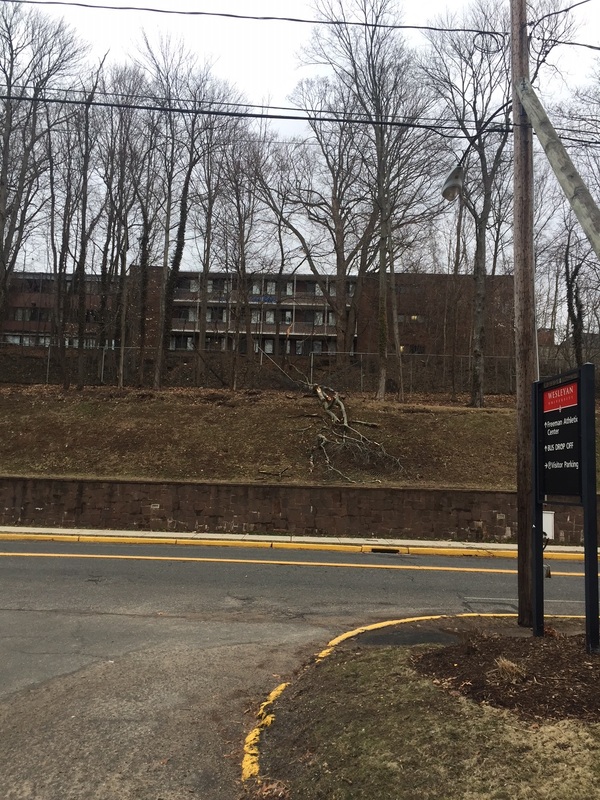 A strong wind and rain storm blew through campus on Friday, March 2nd. 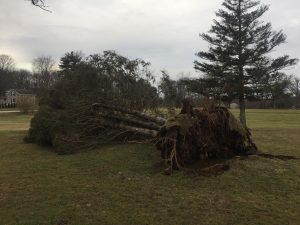 Several trees were blown over, and some large branches were snapped off. 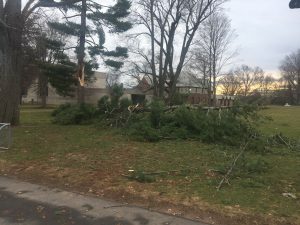 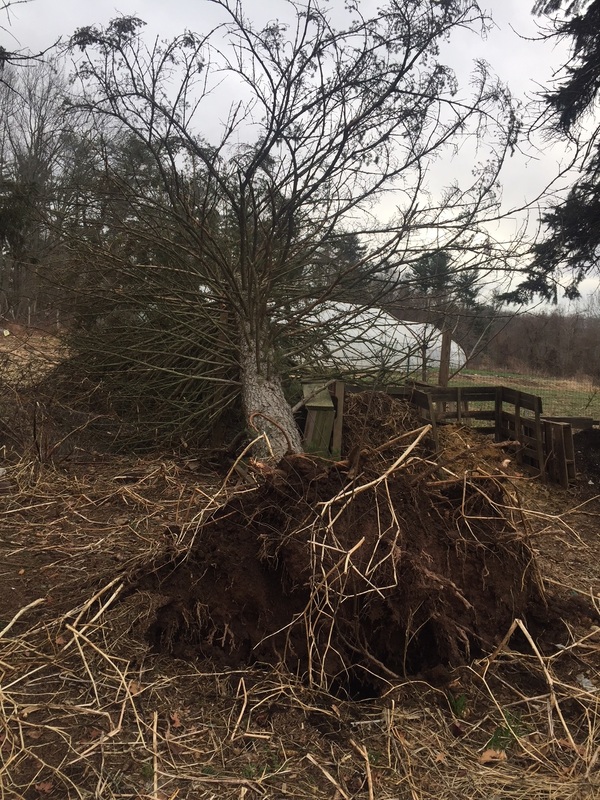 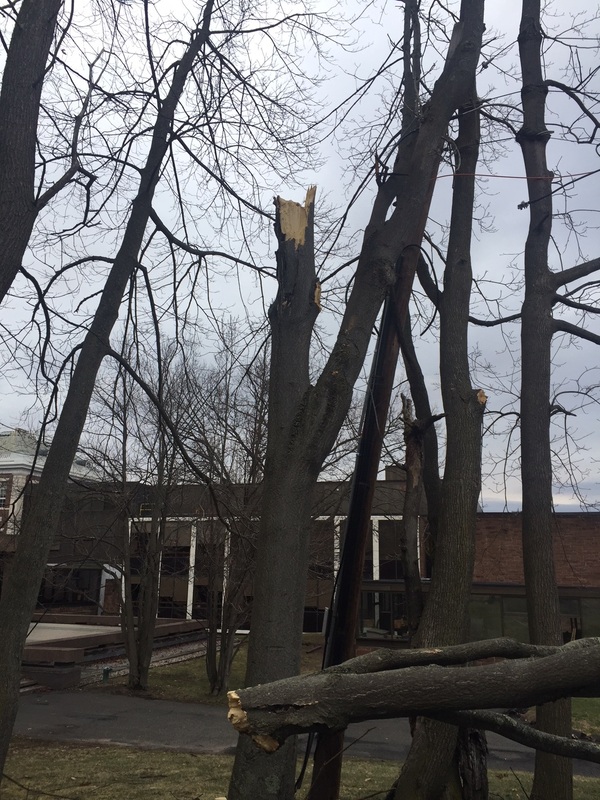 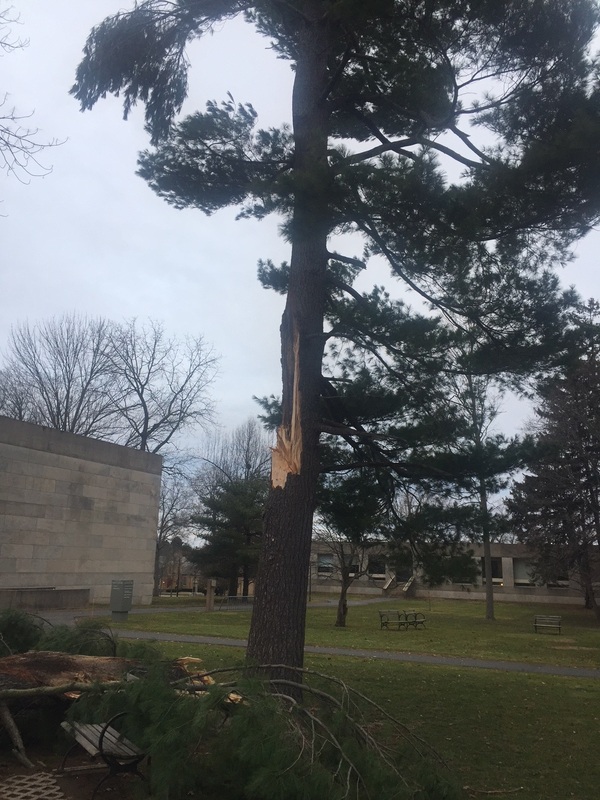 Below are a few images of trees we lost, as well as one large White Pine in the CFA, that suffered significant structural damage. A large leader off of this White Pine, snapped and fell in the strong winds. The loss of the leader left the tree structurally compromised. 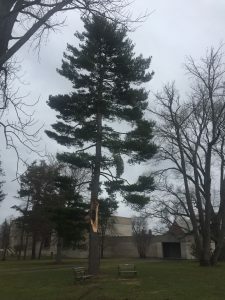 The tree was completely removed. 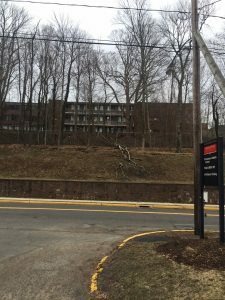 Plans are already in the works for a replacement.